Yellow-green leaves crown this tree with nature's majesty, its sturdy roots safe under rocks. Its trunk is tinted with shades of yellow and orange, as if reflecting the setting sun. 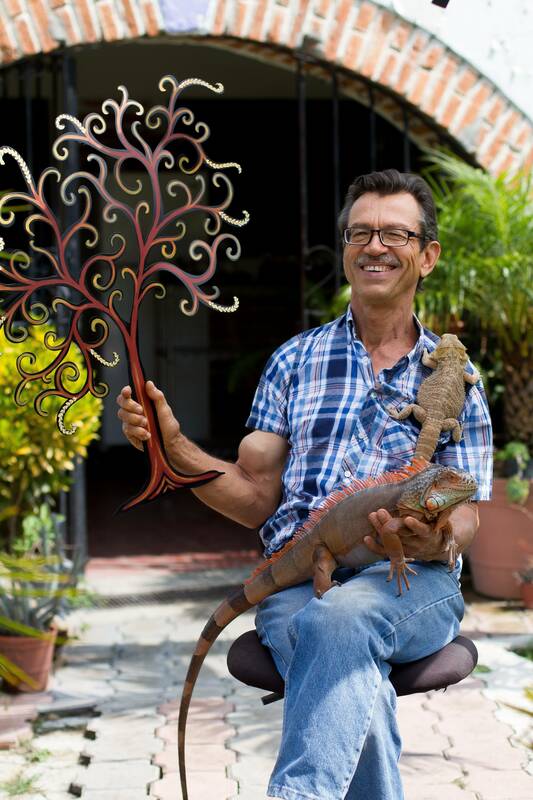 Mexico's Alejandro de Esesarte crafts and paints the original wall sculpture by hand.